The presenter has recently returned from filming a new documentary series in the country for Channel 5. Following two years of extensive negotiations and planning Palin, 75, and his film crew were granted access to showcase the everyday lives of people in the secretive country. Palin was in North Korea when the historic meeting between its leader Kim Jong-Un and South Korean President Moon Jae-In took place at the military demarcation line between the two countries in April. He has journeyed across continents, deserts, oceans and mountain ranges for his many television travel shows, the last of which saw him trek across Brazil in 2012. However, he said his trip to North Korea was the most revealing experience he has undertaken yet. Palin said: “To visit North Korea was an opportunity I couldn’t turn down. For somewhere that is so often in the forefront of the news, it remains a complete mystery to most of us. “That we were able to travel across the country and get some sense of everyday life was enormously exciting. The former Monty Python comedian travelled more than 1,300 miles across North Korea while filming the series. During his explorations he visited the country’s capital Pyongyang and Mount Paektu, an active volcano on the border with China. ITN Productions head of factual Will Smith said: “We are thrilled to be working with Michael Palin on this project which has taken two years to come to fruition. 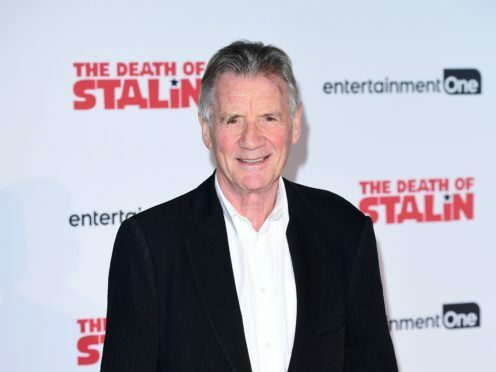 Michael Palin In North Korea will air on Channel 5 later this year.